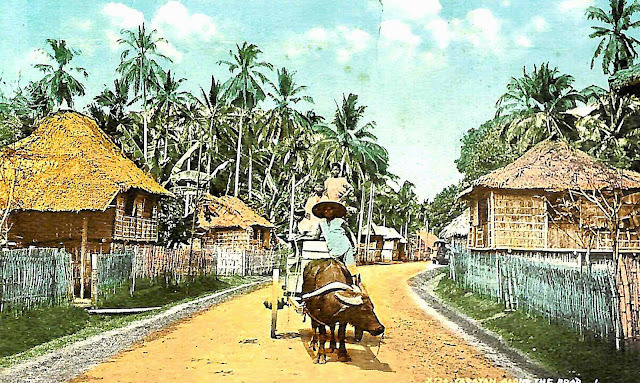 Image source: Clyde Tavenner's scrapbook. In the November 1907 local Philippine elections, one Antonio Loualhati1 became the duly elected municipal president2 as certified by the municipal board of canvassers. Loualhati, however, happened to have “incurable ill health” and informed the office of the Governor-General that he had to decline the office of the municipal president. 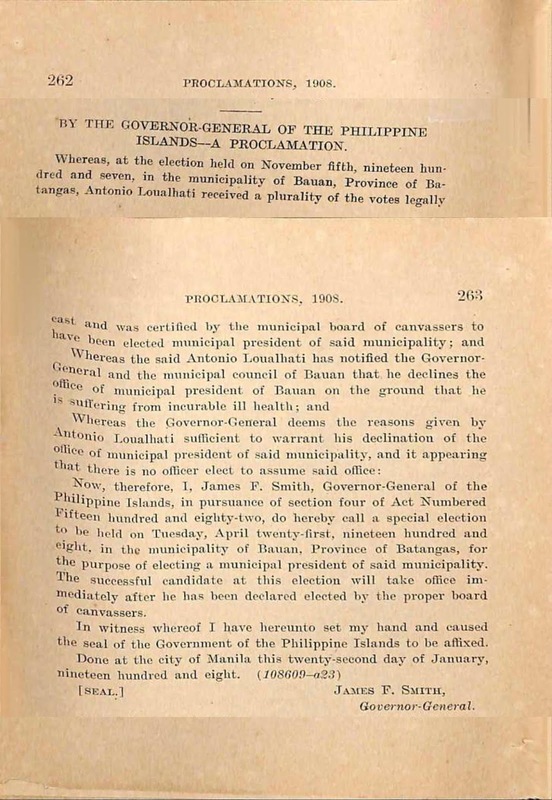 Now, therefore, I, James F. Smith, Governor-General of the Philippine Islands, in pursuance of section four of Act Numbered fifteen hundred and eighty-two, do hereby call a special election to be held on Tuesday, April twenty-first, nineteen hundred and eight, in the municipality of Bauan, Province of Batangas, for the purpose of electing a municipal president of said municipality. The successful candidate at this election will take office immediately after he has been declared elected by the proper board of canvassers. In witness wlicreof I have hereunto set my hand and caused the seal of the Government of the Philippine Islands to be affixed. 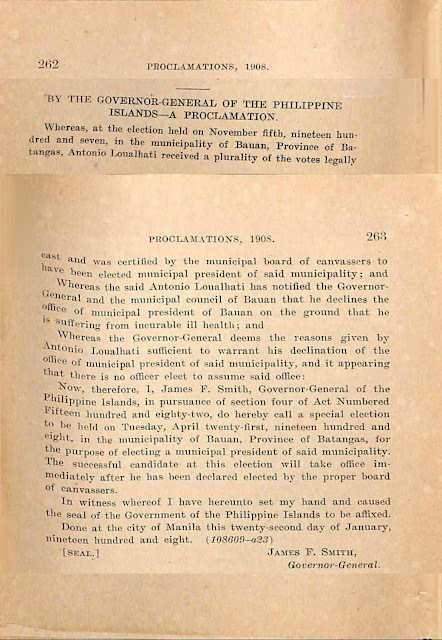 1908 proclamation setting special election in Bauan, English version. 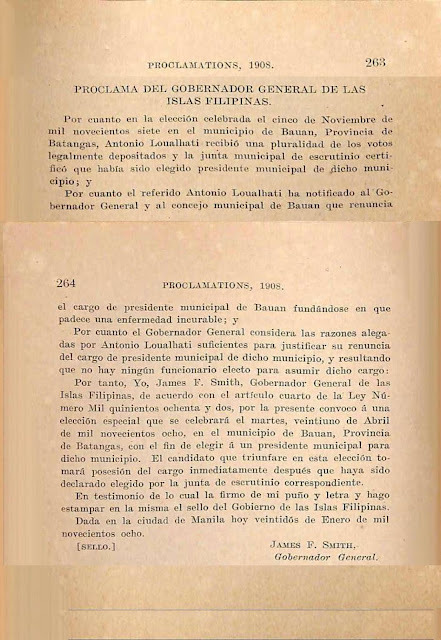 1908 proclamation setting special election in Bauan, Spanish version. 1 The contemporary spelling will likely be Lualhati. 2 “Municipal President” in the present day will be the town or city mayor. Wikipedia.